The Easter Bunny is coming to visit, and he's brought this stunning spring masterpiece with him! There surely isn't a more perfect way to remind your loved ones that spring is on its way! 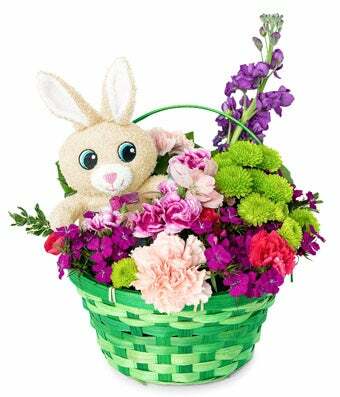 Please note that the plush bunny and basket may vary based on regional availability.